Play your favorite music from YouTube withthisfree and easy to use app. It is a free downloadEnjoy watching your favorite videos.Disclaimer: This app CANNOT download from YouTube. It only letsyoustream videos using the YouTube Android Player. It is onlyaplayer, not an mp3 music downloader. Thank youforunderstanding! Free mp3 float music player for YouTube!Wee Player gives you access to all of YouTube music videos and letsyou play them in a handy floating popup for a nonstop musiclistening.Search your favorite artists, create your own playlists, discovernew music genres and browse the daily Top Charts of yourcountry!No need to download your songs anymore, you can activate thespecial lockscreen directly from the player and keep enjoying yourmusic!Features:- watch your videos in full screen or use the floating popup fornonstop listening!- Move the floating popup player wherever you want on thescreen.- Customize the size of the floating popup to your needs- Search among millions of YouTube music videos for free- Create your own playlists- Share your playlists and the music you love with yourfriends- Add songs and manage your current queue easily- Access 100 music genres: Electronic, Soul, Hip-Hop, Reggae,Rhythm & blues, Disco, Jazz and more!- Browse the daily Top Charts songs- Video player can be minimized and still can be continueplaying- Play nice quality YouTube videos optimised with your internetconnection- Keeping the videos playing in a floating window* All the streamed YouTube videos are copyrighted to theirpublishers* This application does not download YouTube videos. * This application does not display videos that were restricted bytheir publishers* Please be carefull when you are not on WIFI for extra fees thatyou may pay for the over use of your internet connection when youstream many videos on internet.YouTube Terms of ServicesAccording to device and network abuse policy and section 4.4 of thedeveloper distribution agreement and YouTubes Terms of Services itis not allowed to play videos in background.THIS APP DOES NOT VIOLATES THIS RULES BY KEEPING THE APP ITSELF INFRONT AND ALSO THE SCREEN ON.ANY BACKGROUND PLAYING SITUATION IS NOT REACHED. Now With Tube Music Mp3 Player Free is aGreatway to use and operate the music functions withmanyadvanced...This App allows you to enjoy your favoritesongsanytime, anywhere with beautiful backgrounds;styles andmanyfeatures.With Tube Music Mp3 Player listen music from your own musiclibraryin your device easily...Please you must know before download: This app just a localmusicplayer, we don't provide MP3 music download and it's not aYouTubeDownloader....this is a simple Music Player App alows you tolistenyour best Mp3 Music Player with wonderful structures...Features:- Listen to music offline.- Support all audio formats like OGG, WAV, MO3, MP4, M4A.- Quick search all music files.- Search and find free music and song tracks.- Widget in home screen.- Set time for sleeping.- Listen music in background mode.DISCLAIMER:-Tube Music Mp3 Player Free is NOT an mp3musicdownloader...! !-You can't download mp3 music with Tube MP3 Music PlayerFREE..Youare only able to play mp3 files located on your SD card oryourlibrary phone. Tube Music Player is an beautiful &excellent application for your smartphone and tablet. You canlisten most nice free mp3 songs in the fastest way for you.Yourbest mp3 tube music client and player for finding and listeningtrending free music.Main features :- Browse and play your favorite singer songs by title, albums,artists, genres, playlists, folders, and album artists.- Play your favorites mp3 songs.- Manage your playlist and add songs to playlist. * This Application does not allow Mp3 Music Download or YoutubeMP3 Downloader.Feedback :- If you like our application please rate 5 start for usDownload Free Music Player and Enjoy Music! 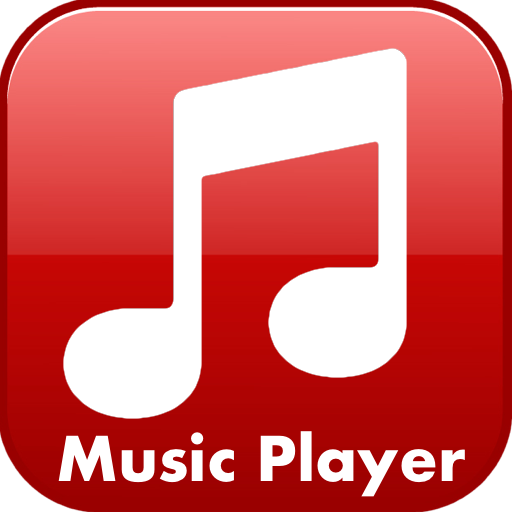 Best Free MP3 Player! * MP3 Player Pro is a powerful mp3 MP3 player and other audioMP3player with powerful equalizer, quick search all MP3 files,custombackground skin theme. * MP3 player Pro is based on artists or albums, and thefolderstructure. MP3 Player will guide you find all the MP3 filesinseconds. * The unique equalizer make your MP3 sounds more professional.Youare free to control the MP3 style.Key Features:+ This is a simple but powerful MP3 player, you can installandlisten the songs now! Get the most advanced Video Player forYouTube! Supports all your favourite YouTube features and more!Watch your iTunes Top 100 songs in a click! No need to searchfor Top iTunes Songs. They are automatically mapped to theYouTube Music Videos.App is packed with lots of Innovative Features and it'scompletely FREE:+ iTunes Top 100 songs mapping to Music Videos – iTunes TopSongs of your country are automatically mapped to the appropriateYouTube Music Videos – start watching & listening. There is noneed of searching. You can add in playlist and more!+ MP3 Music Mapping to Music Videos – You can watch MusicVideos of your Favorite Songs on your Device with just a singleTap. No need of searching Songs on YouTube.+ Add to Queue – You can queue up multiple videos for watching oneafter another. For eg. You can search and add one or more items tothe Queue. You can search multiple times. You can also remove fromqueue.+ You can Sign-in with your YouTube account to get your Favorites,Playlists, Liked Videos, Subscribed Channels, Uploaded Videos,Watch Later and more.+ Supports What to Watch to get the Top Rated/Popular videos inyour country right now.+ Supports changing your Country location. For eg. Say you are fromUK and you want to watch the Top Videos of US, you can use thisfeature.+ Powerful Search option. You can fine tune your search based on –Videos, Channels, Playlist, Sort based on - Relevance, Date,Rating, Title, View count, Video Count+ Supports Categories like Music Videos, Sports, Entertainment,Comedy and more! You can watch the most popular based on thecategory.+ Playlist Support – You can play all your songs in playlist+ More Playlist features – You can watch inside the app Player andthen set shuffle, repeat to play music videos in loop, open otherplaylists, play and listen any song from the playlist, move to nextor previous song.+ You can get more details of the Video (Player mode) - About,Comments section. Also you can look for more of Similar type.+ While Watching – you can create your own playlists, share withfriends.+ Subscribed channels – Sorted list, player support+ Add to Favorites, Watch later, Playlist, Add to queueStart enjoying your favorite music videos, movies, iTunes top songsand much more!Get Video Player for YouTube today!Note: YouTube is trademark of Google Inc.